Chief Operating Officer @ Aircom Pacific Inc.
An experienced aviation executive with over 40 years’ experience in airline executive management, operations, aircraft manufacturers, Maintenance and Repair Organisations (MRO), aircraft purchasing, sales and aircraft leasing. 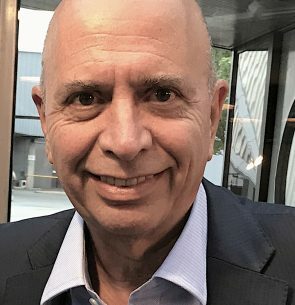 Louis Giordimaina is currently the Chief Operating Officer of Aircom Pacific Inc., a company providing In-Flight Entertainment and Connectivity solutions to the airline industry. He recently served as Air Malta’s CEO, the national airline of Malta, as well as CEO of Lufthansa Technik Malta for a number of years. He has been General Manager, Accountable Manager and Director of Hyperion Aviation and Eurojet, managing over 18 private business jets and Airbus A319 aircraft. He is also currently a director of an MRO company as well as having served for a number of years as a director of Tailwind Leasing Company and Peregrine Aviation Leasing Company based in Shannon, Ireland. He joined Air Malta’s engineering department in 1975 as an aircraft engineer. He occupied various positions in the engineering department with additional active roles in the airline strategic planning, aircraft purchasing and aircraft deliveries from Airbus Industrie, Boeing and British Aerospace, aircraft leasing and sales from and to various international Aircraft Lessors as well as aircraft contract negotiations. In 1994, he was appointed as the first Maltese Chief Engineer of the national airline. In 2006, he spearheaded Lufthansa Technik Malta’s expansion, which saw the construction of new hangars and facilities, a project worth over €70 million and completed in 18 months. Following this major expansion, together with an increased local workforce from 140 to 600, the company started carrying out base maintenance on both Lufthansa’s Airbus fleet of A330/340 wide body aircraft as well as major international airlines to become one of the major worldwide Maintenance and Repair Organisation (MRO) players, based in the centre of the Mediterranean. An aircraft engineer by profession, Mr Giordimaina also read Business Management at Warwick University, UK. He is a Fellow of the Royal Aeronautical Society. Keynote by Louis Giordimaina, Aircom Pacific Inc.